The first search for the cougar included hounds trained to pick up a cougar's scent. WELCHES, Ore. — Oregon wildlife officials set out to find a cougar that they believe attacked and killed a Gresham woman hiking near Mount Hood, but there was no sign of the cougar after Thursday's search. Two federal wildlife officers entered the woods with mules and four hounds trained to pick up a cougar's scent around 6:30 a.m. They traveled about nine miles. There were no signs of cougar tracks in the area, and searchers did not see signs of cougar prey. Diana Bober, 55, was found dead Monday off the Hunchback Trail in Welches. She was reported missing on Aug. 29. Wildlife officials said they believe Bober was killed by a cougar. The medical examiner's office said her injuries were consistent with that of a cougar attack. U.S. Fish and Wildlife will determine the animal that attacked Bober. 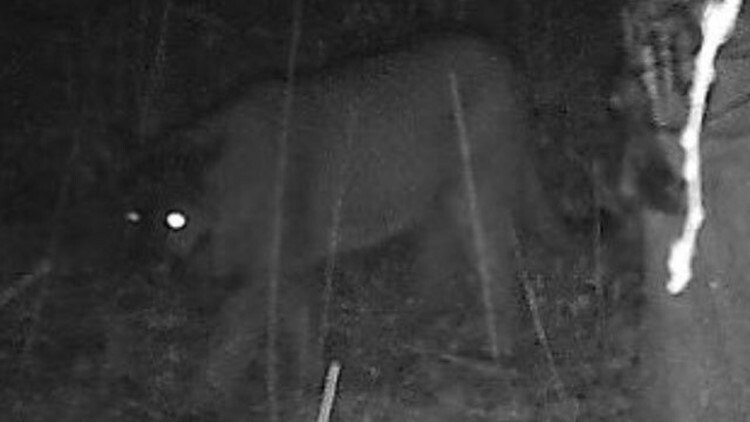 The fatal attack would be the first by a wild cougar in Oregon history. Searchers plan to kill a cougar, then test its DNA to see if it was the cougar that killed Bober. “We are going to be as humane as possible when we do that,” said Wolfer. Wolfer said search teams will not have the means to trap the cougar in rugged terrain and bring it to a secure location to test its DNA before killing it. "Cougars are difficult to find under the best of circumstances and to be out in the rain and this steep, steep terrain complicates it considerably," said ODFW's Rick Swart. A man who lives near Hunchback Mountain shared photos of a cougar recently taken by his "game cam." He believes there's a strong chance that it was the cougar who killed Bober. Cougars have vast but overlapping terrain. Wolfer said it is possible at least one dominant male, as well as one or two females, may be in the area. At the Mt. Hood Bicycle shop, mechanic and mountain bike rider Kevin McCarthy said he has come across two cougars on nearby mountains. “One of them was just sitting up in the brush, just kind of watching us, and we just kept on our way and that was that. And the other one — pretty much the same scenario,” he said. At Welches Middle School, parents got a message that children would be kept inside a six-foot fence that surrounds the playground and not allowed to venture onto a nature trail by the school. Experts say a cougar could easily jump the fence, but probably would not if children were together.